There's been a lot of talk about STEM and STEAM on my blog lately, and for good reason! I've been working with a new small Adelaide based business called STEM Nest who are all about bringing STEM into your everyday life at home - no matter the age of your child! 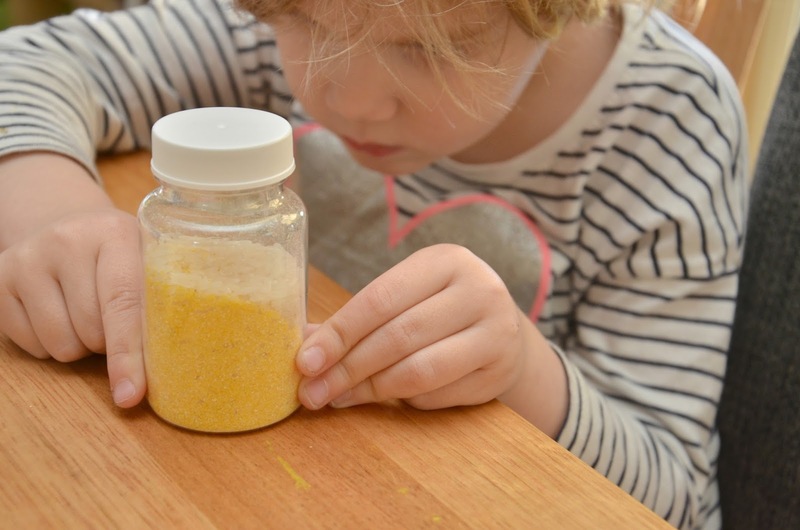 You may remember my post on school aged children's activity kits and I'm so pleased this month to be able to give you an idea of what Karlie from STEM Nest is able to provide to preschoolers (or "Little STEMies"). 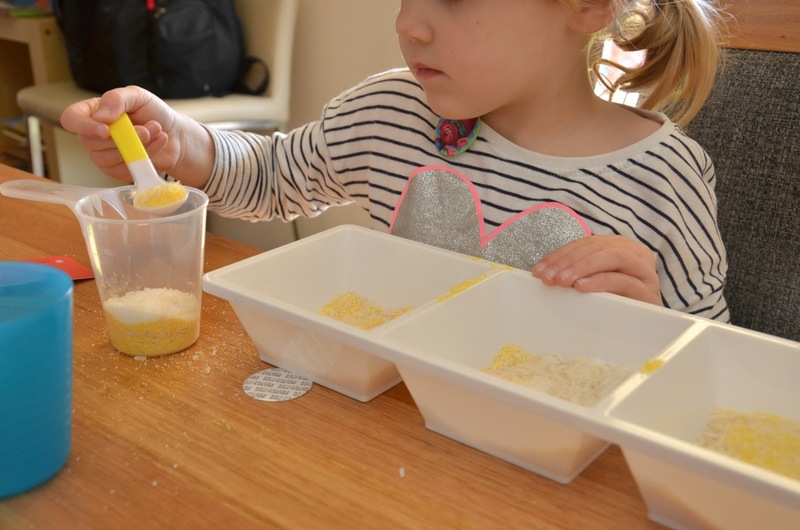 It's all about hands on learning, exploring materials, sensory play and encouraging our little ones to be little innovators before they've even started school. Sound like something your little one might like? Read on! This is a sponsored post as part of my Brand Ambassadorship with STEM Nest. These products were kindly gifted. 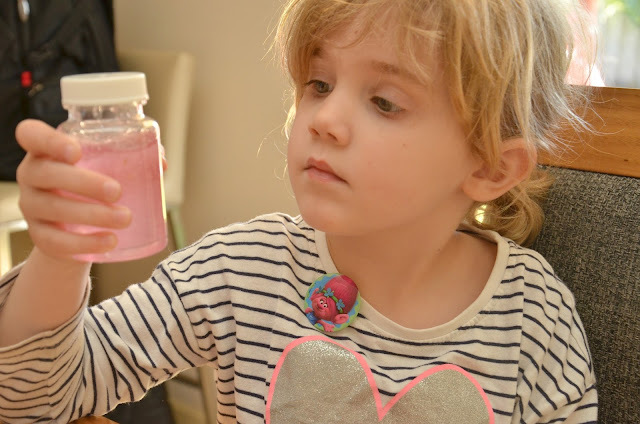 The first Little STEMies pack we tried out was all about 'Pouring and Volume'. Inside the kit was rice, polenta, salt, a new sensory material I have yet to try called 'GelliBaff', plus various scooping and measuring equipment, along with four detailed instruction cards. Firstly we experimented with mixing the different materials. Starting with the rice in the jar, and then adding the polenta (which sat on the top until we shook it all around). However after quite a bit of shaking, we started to notice the rice coming to the top and the polenta sinking to the bottom. 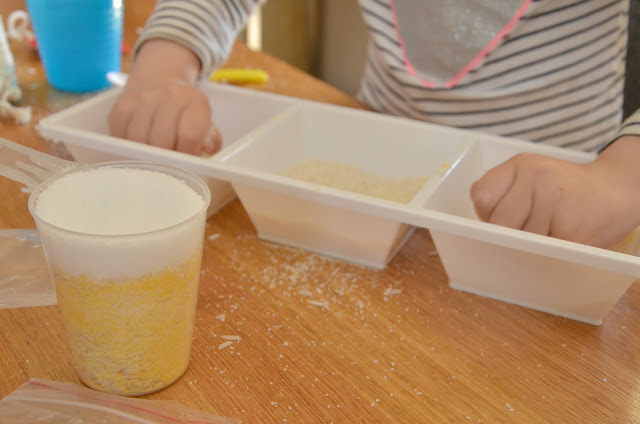 Then Miss M wanted to add salt as well and before long we had all three ingredients completely mixed up together and she dove right in to enjoy the sensory element of the play. She was scooping, transferring, measuring, mixing and having a great time. Next we were keen to see what GelliBaff was all about (I had high hopes after the success of the Polymer from the last kit we tried!). 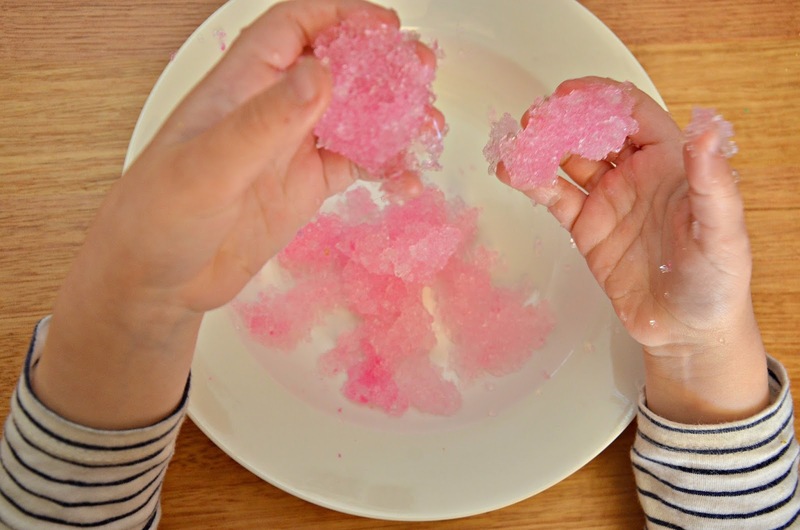 GelliBaff is a similar ingredient to what water beads are made from, and when mixed with water the powder expands up to 200 times it's size! We mixed just a little bit with water in the jar and then waited to see what would happen. It was some seriously messy sensory fun! Miss M said it felt cool and slimy, like jelly. "I like the feel" she said. Our instruction card guided us to add salt to the mixture to see what would happen - but we have yet to try this part yet. I wonder what will happen? Finally we did some water play experiments. We filled the cup right up to the top and then Miss M put her hand in to discover some of the water spilled over the edge. This is called water displacement. Then we tried different toys in the full cup of water to see what would happen. The second kit that arrived this month from STEM Nest was a pack of dominoes. 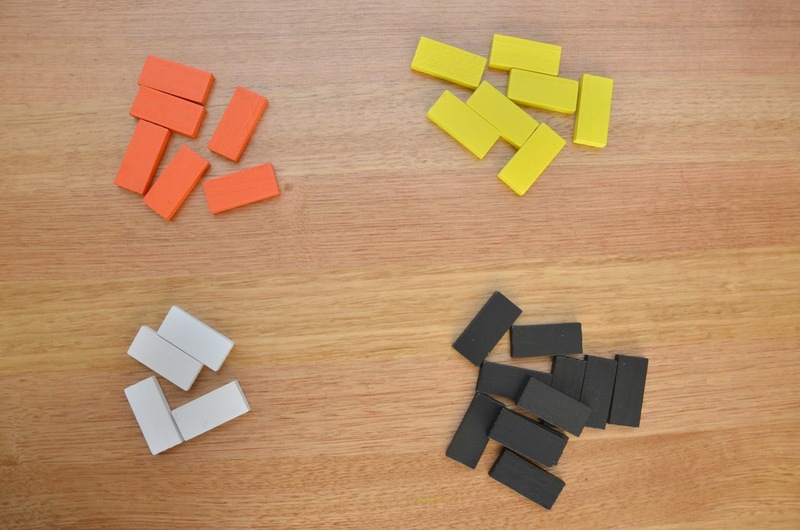 Now these dominoes are just blank (no dots on them, just four different colours) so we were focusing on them as a construction tool rather than a tool for learning numbers as they usually would be. We actually don't have a set of dominoes so this was perfect! Sorting and counting was a great place to start for Miss M as we put them in their piles of colours and then counted how many of each (at this stage I didn't present her with the whole set). We discussed which pile had more and which had less, and then this lead on to some tower building - a fundamental STEM activity! 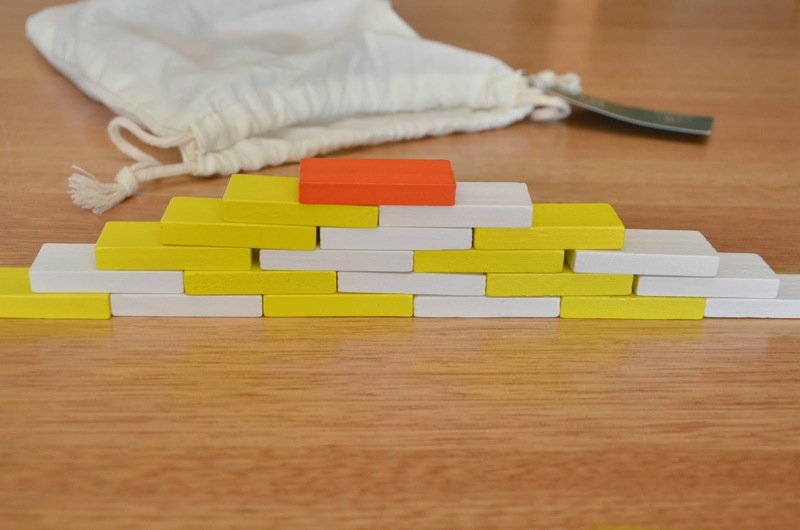 Interestingly Miss M's uncle is a brick layer - so I used this opportunity to show her how a brick layer places the brick alternately when building a house to make it stronger than simply going one on top of the other. Connecting this activity to a real life example to her made it more meaningful for her. When creating different towers with the dominoes children can experiment with many different methods and place the dominoes in different ways. Which way creates the strongest tower? Patterning is a great early mathematical skill for preschoolers to practise, starting off with a simple AB pattern (e.g. yellow, white, yellow, white) or for an extension, ask them to create an ABC pattern using three of the colours, or an AABB pattern. If they are having difficulty, start the pattern for them and ask them to copy and continue the pattern. 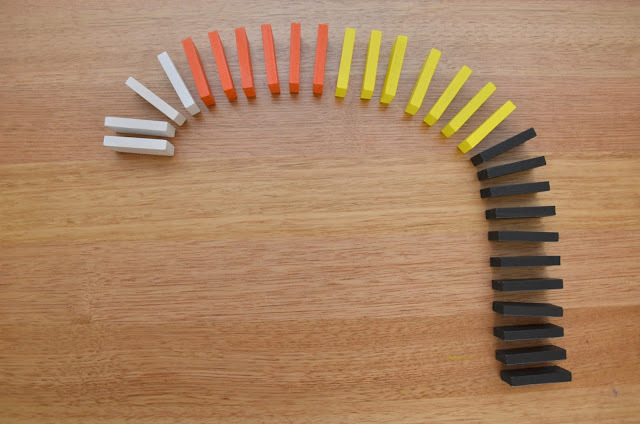 Last but not least the most enjoyable and satisfying way to play with dominoes is to stack them all in a row and watch them fall. This is all about chain reactions and is another fundamental and basic STEM skill. To order a Little STEMies pack head to the website - and you can also check out the subscription options for school aged children. Aaaaand... read some of my previous STEM and STEAM posts here!